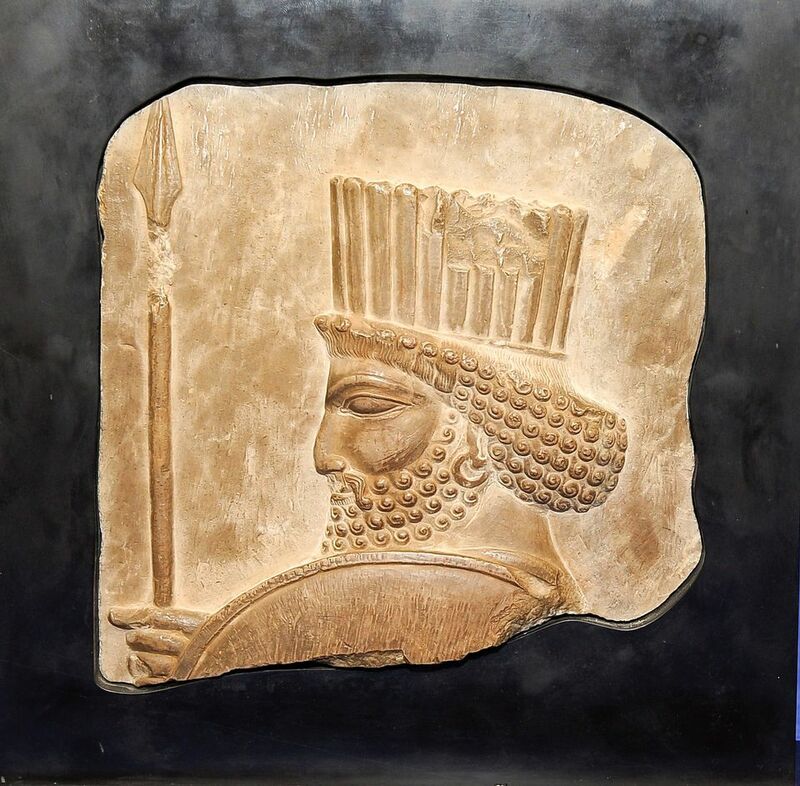 The District Attorney of New York has filed a motion with the State’s Supreme Court asking for the return to Iran of an ancient limestone relief which it seized from a London antiquities dealer last October. The work in question, an eight-inch bas-relief of a Persian soldier holding a shield and spear, dates from the fifth century BC and was stolen from Persepolis, the ancient ceremonial capital of the Achaemenid Empire, in 1935, the motion states. It was confiscated by the district attorney’s office from the stand of Rupert Wace at the Tefaf New York art fair last autumn. In a statement issued following the seizure, Wace said he bought the work from AXA Art Insurance which had, in turn, acquired it legally from the Montreal Museum of Fine Arts where it had been on display or in storage since 1951. But in the motion filed to the Supreme Court on 24 May, the assistant district attorney Matthew Bogdanos accuses Wace and his partner in the purchase, the London dealer Sam Fogg, of failing to make “reasonable inquiry” into the object’s provenance before buying it. The only steps they took were to ask the Canadian museum for its file on the object and to obtain a certificate from the Art Loss Register stating that the relief was not listed as stolen on the organisation’s database, the motion states. What Bogdanos fails to mention is that before purchasing the relief Wace consulted with two experts in Middle Eastern archaeology and also did additional research on the object’s provenance, the dealer’s lawyer, Pierre Valentin of the firm Constantine Cannon, tells The Art Newspaper. Bogdanos did not speak with Wace or Fogg directly but instead reconstructed the events leading up to their purchase of the relief from documents released by the dealers when they were issued with a subpoena following the antiquity’s seizure, Valentin says. This subpoena did not specifically ask for documentation relating to due diligence enquiries made by Wace or Fogg into the object’s provenance before buying it. The District Attorney’s office did not respond to our enquiries over the weekend. Meanwhile, a court in Canada is also considering the ownership of the Persian relief in a separate legal process initiated by AXA Art Insurance after Wace asked the firm to reimburse him for the purchase of the antiquity following its seizure (AXA declined to do this; the firm did not respond to our enquiries). The insurance company is seeking to assert that it, and not Iran, had title to the antiquity after it took possession of it from the Montreal Museum of Fine Arts and that it was therefore within its rights to sell it to Wace. Bogdanos accuses Wace and Fogg of seeking to resolve the dispute in Canada because the country “is a safe-haven jurisdiction that permits stolen works of art to be laundered with the passage of time.” But Wace and Fogg are not parties to AXA’s case and “have nothing to do with the Canadian proceedings,” Wace’s lawyer says. The Persian bas-relief at the centre of the dispute was apparently stolen from Persepolis, a Unesco world heritage site, in 1935. At the time, the site was being excavated by archaeologists from the Oriental Institute in Chicago under an arrangement known as partage, whereby foreign organisations, usually universities, are given permission to excavate sites that host nations do not have the resources to excavate themselves. The Oriental Institute has extensive documentation relating to its excavations of Persepolis and Wace and Fogg should have consulted its archives in Chicago, Bogdanos states in his motion. If they had, they would have found photographs of the bas-relief in situ as well as photographs of the same location, a staircase leading up to a palace, taken in 1935, which show the work missing from the wall, suggesting that by that date it had been stolen. The theft, which was reported to Tehran and also referred to in letters from the Oriental Institute’s archaeological team at Persepolis, took place after Iran passed a patrimony law in 1930 which made the export of archaeological material without a government licence illegal. Fifteen years after it disappeared from Persepolis, the relief was in the possession of the New York-based dealer Paul Mallon who offered it to the Canadian collector F. Cleveland Morgan. Morgan purchased it for just over $1,000 and then donated it to the Montreal Museum of Fine Arts in 1951. It remained there for six decades until it was stolen in 2011. Following the theft, the museum, whose collection is insured by AXA, accepted an insurance payment of $1.18m Canadian dollars ($910,000) from the firm. In 2014, the relief was recovered from a Canadian collector but the Montreal museum opted to keep the insurance payout and AXA took possession of the work. Wace then bought it from the insurance firm. Before he did so, he sought additional information on the antiquity from two experts: Michael D. Roaf, professor emeritus at the Institute of Near Eastern Archaeology in Munich and Hilary Gopnik, senior lecturer of Ancient Near Eastern Studies at Emory College in Atlanta, his lawyers say. Neither expert expressed a concern that the piece could have been stolen. However, Gopnik directed Wace to the Oriental Institute’s website which features hundreds of photographs of the Persepolis excavation, including images of the relief in question. The website also indicates that additional images of the excavations are kept in the institute’s archives in Chicago. Wace’s lawyers say he did not find these online images and he proceeded with the purchase. When contacted by The Art Newspaper, Gopnik did not immediately respond and Roaf says he had no recollection of corresponding with Wace. We sent him the specific time and dates of his email exchanges with the dealer’s office in January 2016 and he did not comment further. Wace also sent a researcher to investigate the archives of the dealer Paul Mallon in Paris to seek information on the object’s provenance. After the relief had been shipped to Wace and Fogg in London in July 2016, Fogg sought further information about the antiquity from Lindsay Allen, a lecturer in Greek and Near Eastern history at King’s College, London. She examined the work in person and told the dealer that “she had no doubt it had been stolen from Persepolis,” the motion states. “Even after Dr Allen’s warning, Wace and Fogg continued their now-knowing possession of stolen property and offered the Persian Guard Relief for sale,” Bogdanos writes in his motion. However, in a footnote to his motion, Bogdanos admits that, in fact, Allen considers all objects removed from source countries to be stolen, regardless of the circumstances of their removal. She “told Fogg that any fragments taken from Persepolis were stolen, regardless of whether they were removed before or after 1930,” the year when Iran’s patrimony law made it illegal to export archaeological material without a government licence, the footnote states. Speaking to The Art Newspaper, Sam Fogg says that he “asked Dr Allen what she meant by stolen. She said she believed that regardless of when objects were removed from sites or whether they were purchased or gifted in the 18th, 19th or 20th centuries, they should all be considered stolen. She was unable to say whether this relief left Persepolis in this century. She said it might be possible to find this information and I asked her to do this for us but when she did find out, she didn’t tell us.” Instead, after researching the relief in the archives of the Oriental Institute in Chicago, Dr Allen passed the information to the New York District Attorney’s office, Bogdanos’s motion states. Allen declined to comment. The dealers exhibited the antiquity at Frieze Masters in London in October 2016 (where it was on offer for £2.2m, the motion states), then again at Tefaf Maastricht in March 2017 and, finally, at Tefaf New York in October 2017. CORRECTION: This article was amended on 1 June. It initially stated that photographs showing the Persian relief in situ in Persepolis are not available on the website of the Oriental Institute in Chicago. This is incorrect. The article also initially stated that the institute’s website “does not indicate that additional images of the excavations are kept in the institute’s archives in Chicago.” In fact, the institute’s website makes reference to the “extensive holdings of photographic records” held in Chicago. We regret the error. "The information you provide is essentially correct, but I should add that in my very brief, casual email correspondence with the Rupert Wace gallery, I was never asked in any way to comment on whether or not this artifact had been stolen from Iran in the 1930s or at any other time. I was informed of the recent theft from the Montreal Museum of Fine Arts but not of any other further issues or questions of legal provenance. I have no specific expertise about stolen antiquities and would not have commented on its authenticity or legitimacy in any case. There was therefore absolutely no due diligence undertaken in that regard by the Wace gallery by consulting me. I was simply asked if I thought the relief came from Persepolis, to which I responded that it was consistent with other images from the site as anyone with any knowledge of Persian art would acknowledge. I informed them without further research I could give them no more information about the artifact and when asked for comparative material referred them to the Oriental Institute website as the most obvious public source for further images. I declined any further correspondence or interaction with the gallery. I should add that I completely agree with Lindsay Allen that any artifact that was removed from Iran at any time without official permission should be returned."